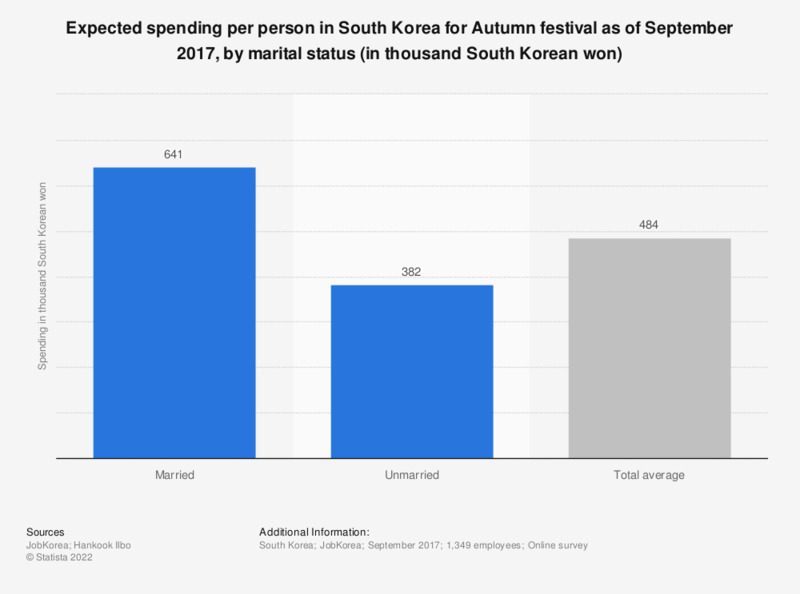 This statistic shows the expected spending per person in South Korea for Autumn festival as of September 2017, by marital status. According to the survey, married employees in South Korea expected to spend about 641 thousand South Korean won during the Autumn festival holiday season. Autumn festival used here is a translation of Chuseok, the 15th day of the 8th month each year according to the lunar calendar, which is one of the major holidays in South Korea. There is a custom that family members and relatives get together during the Chuseok season.